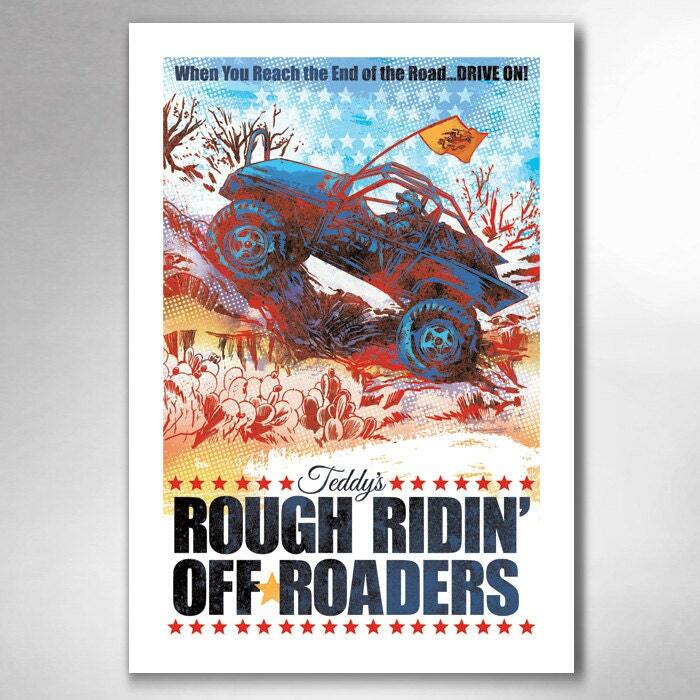 "Teddy's Rough Ridin' Off-Roaders" art print by Rob Ozborne. THE STORY: Speak Softly! And take the road less traveled. 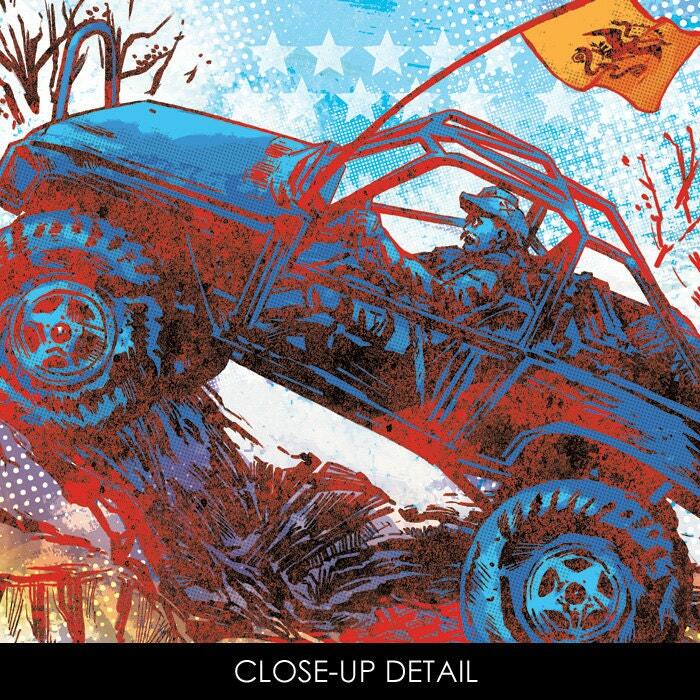 Better yet, go off-roading. With Teddy R!